Many people living in rented accommodation in Dubai are not enthusiastic about the prospect of buying a home — not because they are unaware that mortgages are now more easily available but simply because the entire process is thought of as lengthy and cumbersome. But ask Nils Jorgen Sehested or Neil and Alexandra Elton, who were tenants but are homeowners now, and they would say buying a home with a mortgage is a smooth affair with the support of a mortgage broker. If you have the money to make the initial deposit, which usually comes to about 15 to 20 per cent of the property value, the monthly mortgage payments are currently much lower than what you would be paying as rent. We met these new homeowners and asked them to tell us how they turned their dream of owning a home into a reality. Nils, a Danish citizen, was living with his family in a rented villa in the Green Community after he moved to Dubai a year ago. However, he has already bought a five-bedroom villa in the same neighbourhood, and he will be moving in this month. The regional general manager for an international dairy group, Nils spent considerable time testing the waters, given the current market conditions. However, he was keen to live in his own house, paying a fixed mortgage per month rather than spending money on rent. Once he was convinced, he started looking around for the right property. With the help of a real estate firm, he finally found what he had been looking for — a villa in the same community where he had been renting premises since his arrival in Dubai. "I have lived only in the Green Community. It is green, peaceful and nice with schools, hotels and supermarkets. Being very close to my place of work and the schools of my children, it is perfect for me and my family," says Nils. Prices have remained stable over the past 12 months with some areas, including the Green Community, witnessing slight increases. Nils, however, was happy with the asking price for the villa and decided to buy it. He informed the agent he wanted to go for a mortgage and the agent, in turn, put him in touch with a mortgage broker, Jean-Luc Desbois of Home Matters Mortgage Consultants, who then took on the responsibility of browsing the market for a product best suited for Nils. Nils advises people who are planning to purchase their pad to hire a mortgage broker rather than approach different banks themselves. "I would go through a mortgage consultant rather than go to ten different banks searching for the right product. I would get lost in the jungle. The fee I paid to Home Matters was very reasonable taking into consideration what I got out of it. I would never go directly to banks because I neither have the time nor the expertise," says Nils. Jean-Luc of Home Matters adds, "Good mortgage consultants have access to all major banks. They can secure you discounted rates, as well as the best mortgage terms for your individual circumstances. Home Matters also provides expert consultation throughout the whole process to transfer." At the outset, the mortgage broker collected the necessary details from Nils such as his annual income, liabilities (if any), etc. Nils says while the general perception is that it's difficult to get a mortgage, the reality is different. The pre-approval, which is the most crucial aspect when applying for a mortgage, took about two to three weeks after which he was asked to take out a life insurance policy. "The pre-approval, life insurance and final approval took four weeks. Pre-approval is given on your documents. 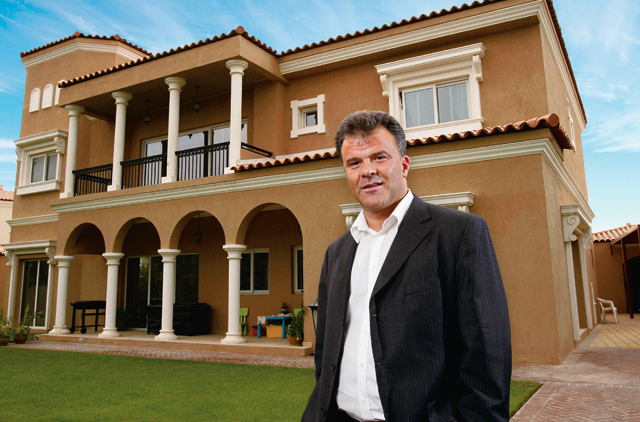 After you get final approval, the transfer of the villa takes place — the entire process taking about six weeks," says Nils, who bought the property in April and got it transferred in his name the next month. "I would say it was kind of a triangle of people who worked together closely — the real estate agent, the mortgage provider and the life insurance agent. It worked extremely well." Most importantly, Nils had to step out for the entire process just once. "I didn't have to go anywhere. I just had to sign some documents in the bank. The mortgage broker came to my house too." Nils considers buying a more attractive proposition than renting in the current market. "I am here on a long-term basis, so I felt instead of paying rent, I would rather buy because the prices are very attractive," he says. Nils' main parameter for choosing a mortgage is the interest rate. "If I compare the rent with the interest I pay to the bank, the rent is always higher. The interest you pay is what you should compare with the rent. If the rent is X and the interest you pay is Y, and if X is higher than Y, then you already have a financial advantage," explains Nils. While he refuses to give advice to prospective buyers, Nils says, "I can tell you what triggered me were indications that we are very close to the bottom of the market and the prices may not go further down — but nobody can guarantee this. If you are here for the long term, then why not buy instead of paying rent? It makes a lot of sense. You pay money to a bank rather than a landlord and at the end of the mortgage term, you have your own property." This British couple arrived in Dubai close to three years ago. Neil is the commercial director of a long-established construction company. Soon after arriving here, the couple planned to buy a house rather than stay in a rented place. However, they were prepared to wait until they found the right property at the right price and, therefore, decided to rent a villa in the Springs. When they finally started their property hunt, things weren't as simple as they'd imagined it to be. "We drove miles around Dubai looking for a property. In the end, we realised that location was absolutely critical," says Neil. They started looking around for properties in the best of locations and Palm Jumeirah immediately caught their attention. Then it was a fairly easy decision to make. "The Palm has quite a lot of exposure to the water," says Neil. Alexandra too adds that Neil's love for water was a compelling reason why they chose to live on the Palm. "Neil grew up in the port city of Southampton in south of England and he has always loved water," she says. For her, however, being a country girl, it was all about more space. Their apartment in Marina Residences caters to both their requirements — while it has amazing sea views, the unit is also extremely spacious with big balconies. "Marina Residences is quite well equipped and sizeable. Our unit is a three-bedroom apartment with a maid's room, spread over 4,000 square foot — the largest floor plan in the towers apart from the penthouses," says Neil. After deciding on the property, it was time to look for a suitable mortgage. Their real estate agent recommended the mortgage broker route. "We thought it was a nice idea. We know the property market well in England because we have a property there but here we didn't know anything about the legal aspects of buying a property, so we needed somebody to help us," says Neil. The mortgage broker, Home Matters again, started with the pre-approval process. "They gave us a two-page guide on the different procedures and the fees involved. It was important to know. They took down our details such as the down payment we could put down and the mortgage we would require. Then they went to the market to find the best rates we could get along with the approval," says Alexandra. With the pre-approval completed, the couple approached the seller and made an offer. "It was now a matter of finding the right mortgage product," she says. The banks needed to know the financial background of the applicants, so they were required to produce bank statements and proof of income. The whole process from procuring bank approval to getting the keys to the property took about two months, recalls Neil. 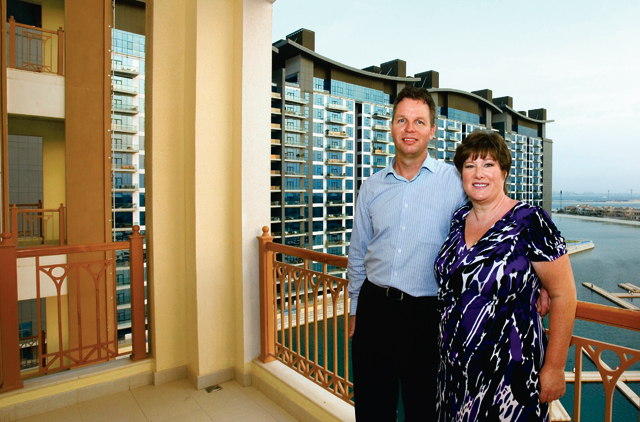 Like the Nils, the Eltons are looking at long-term prospects in the UAE. So, their primary criterion was the interest rate while looking for a mortgage. They also looked at the exit clause, tenure of loan and how it would affect them if the interest rates went up in the future. "I did a spreadsheet of six to seven different options and then we chose the best," says Alexandra. The Eltons moved into their Marina Residence apartment at the end of April. "I know a lot of people who moved into lovely places in the last couple of years, but when the rents go up, they will be priced out. This was actually a big consideration. We wanted to have our own space rather than being transient," says Alexandra.